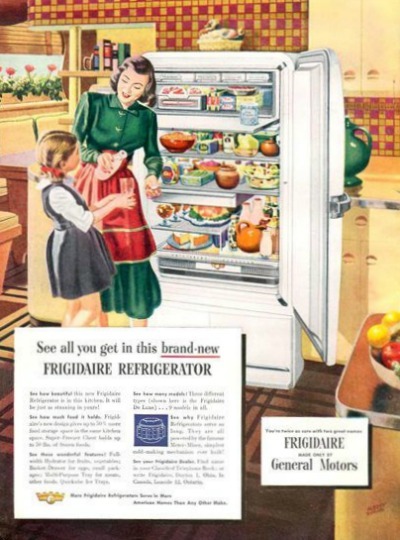 Reflecting a stereotypical view of 1950's American women, the early days of television depicted TV moms wearing shirtwaist dresses, heels, and aprons while attending to their home and families. 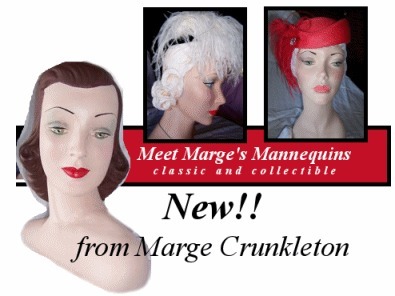 These women typified American values and culture in the 1950's. 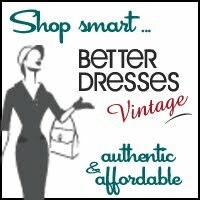 Their "day" dresses were usually a buttoned down the front and full skirted dress known as either a shirtwaist dress or simply a shirtdress. 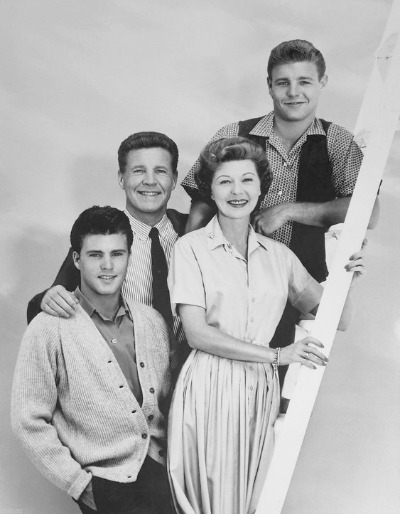 This popular style was derived from men's shirts and reached their peak of popularity in the 1950's. 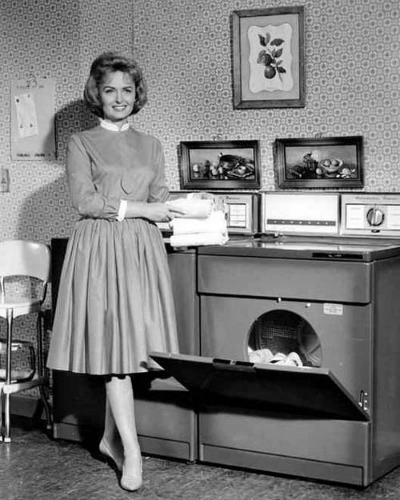 As evidenced in photographs of the most popular fifties' TV moms, they were characterized as well groomed and obedient wives, loving mothers, meticulous housekeepers, and pleasant entertainers. 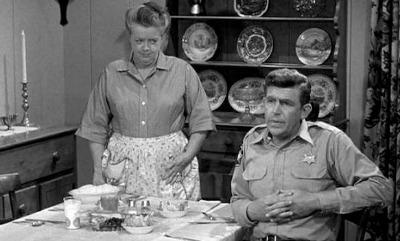 While today we may be amused by this portrayal of women, we continue to appreciate the fifties' television woman's well-coiffed and dressed look. 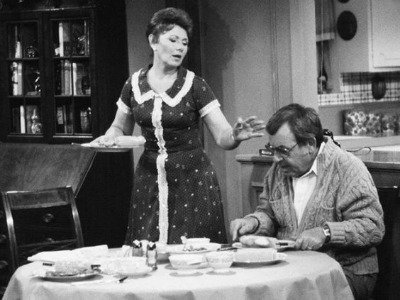 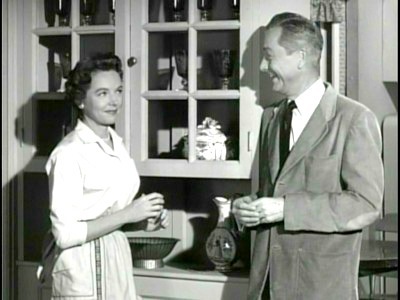 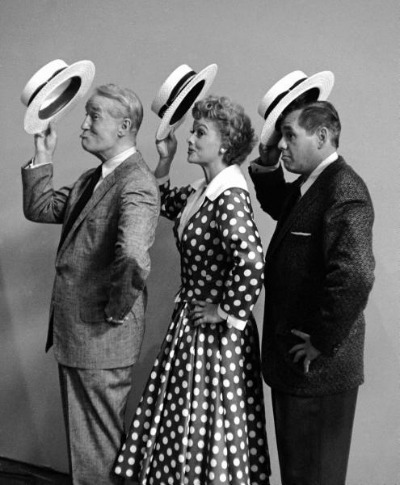 Jane Wyatt as Margaret Anderson in "Father Knows Best"
While neither a wife or mother, Aunt Bee typified the fifties' mature woman dress and appearance.